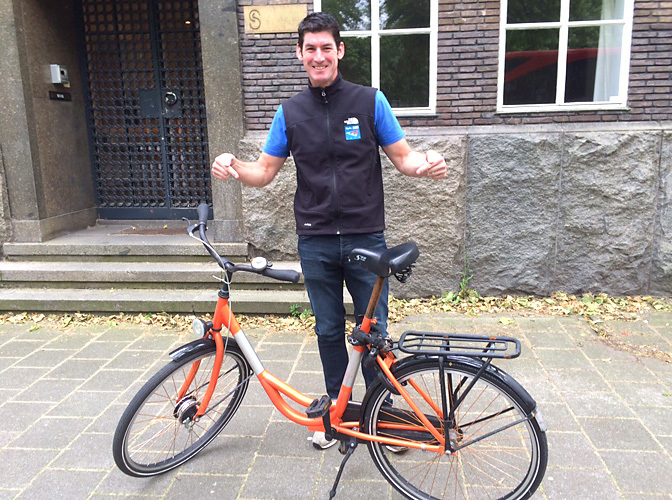 This week I travelled to Amsterdam on business and given the fact this is one place where cycling is part of the cities DNA I decided to use the bike as my mode of transport (where possible) for the week. 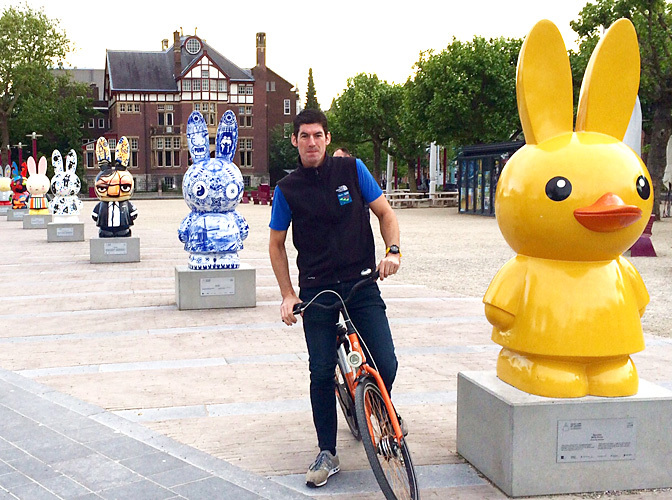 hire a bike that doesn’t scream tourist, one that blends in! you will struggle to find a proper racing bike, this will also be a lot more attractive to thieves so stick with simple! follow the signs for the bike lanes and beware of faster cycles and mopeds (also use cycle paths) overtaking on your left, so keep right. Don’t stop in a cycle lane to look at maps or admire the scenery! lock your bike! 55,000 bikes are stolen each year!! respect and avoid the trams, and also the rails can easily bring you off the bike! The first eye opener (apart from the pedal backwards brake!!) for me once I was out on the bike was just how many people cycle, from young kids to the old everyone seemed to have a bike and I mean everyone! 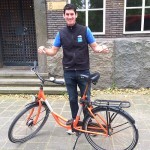 In Amsterdam, over 60% of journeys are made by bike in the inner city and 40% of journeys overall! Nobody seems to wear a helmet (apart from the roadies I saw further out!) and I was wondering if that was because they saw less risk than say we would cycling around the heart of London where cyclists and motorists are left to compete for the same piece of tarmac! I was amazed at the variety of design and ingenuity of the many bikes I saw that were used, not just for one person but parents and their kids, couples sharing and family pets! In using the bike to get around I really did get to see so much more of Amsterdam life and culture than I had ever really seen on previous visits and this also really helped me get a good sense of the city layout. 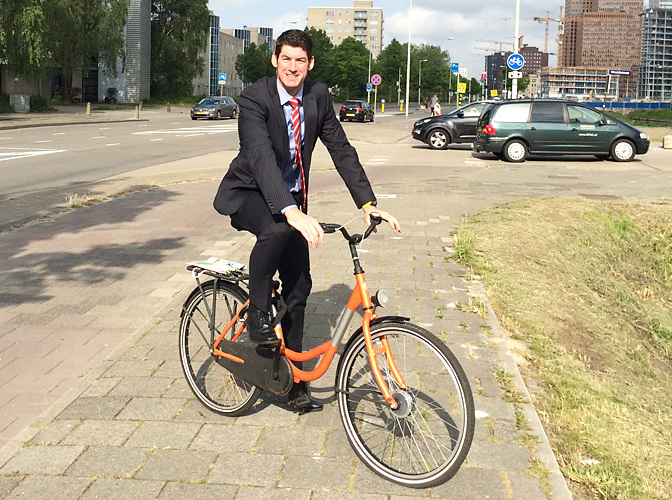 I even used the bike for travelling to and back from the conference at the RAI Amsterdam! Artizuid (International Sculpture Route) was one of the many festivals happening in the city while I was there and I took the opportunity to visit some of the seventy sculptures laid out across the city by twenty one artists. Artizuid! – Over 70 sculptures across the city by 21 different artists! 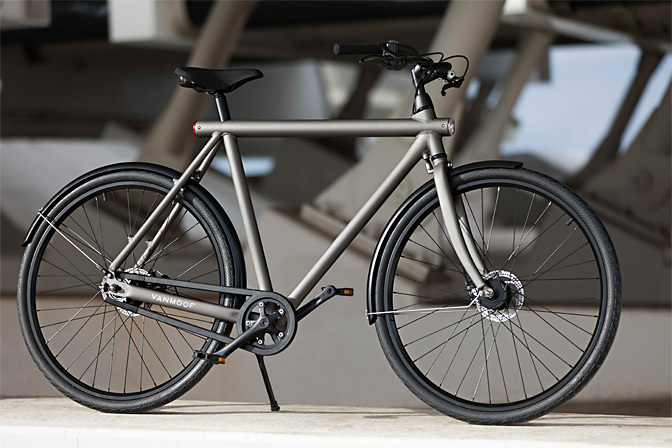 One of the bikes that I saw on numerous occasions was the VanMoof and the design really grew on me, it stood out from the crowd and looks like it was made out of scaffold tubes but I wanted one! The vanmoof grew on me even though it looks like its made from scaffold tubes!